StreamingStar - How to capture online concertvault streaming videos from the Internet? If you do not have any chance to going to a concert, online concert websites would be a great choice. And Concertvault collects world’s greatest concerts of the past fifty years in rock, country, jazz, blues and many more categories, hosting a large number of free and legal concert recordings on the web. If listening online cannot meet your needs, you can download or record the concert music video for offline listening at everywhere. 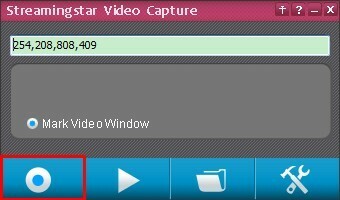 Streamingstar Video Capture is a screen capture as well as a video recorder that could help you get the online video off. Considering the demand of high quality to music, Streamingstar Video Capture is able to do best for you in recording online concert video on Concertvault, because comparing to other concert downloaders, Streamingstar Video Capture is good at capturing rtmpe, http, rtmp, mms, rtsp stream online videos with high audio quality. It allows you to adjust audio bitrate from ordinary 128kbps bitrate for MP3 to 384kbps bitrate for movie and concert. 2. Make sure “Record Audio” is checked in “Option” , if you expect a high audio bitrate, ajust it in “Option” too.